This article first appeared in The Edge Financial Daily, on September 18, 2017. 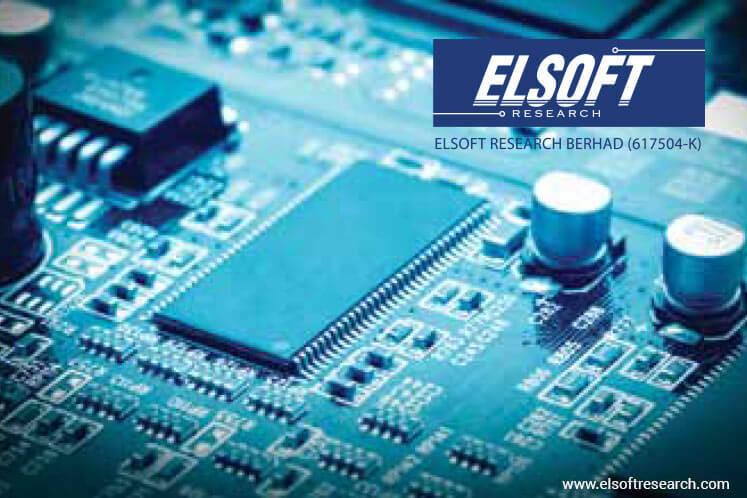 GEORGE TOWN: Growth for automated test equipment solution provider Elsoft Research Bhd is expected to be muted in 2017 based on its first-half performance. Elsoft chief executive officer Tan Cheik Eaik, a major shareholder with a 24.7% stake in the group, said orders have been slow in the first half although they picked up at the end of the second quarter. Speaking to The Edge Financial Daily, Tan said traditionally the second and third quarters are busy periods for the group but not so this year. The slowdown in demand, he said, was due to lower orders from smart devices as there is no new development in terms of technical specifications in the light emitting diode (LED) flash used in 2016 versus 2017. “I had a more optimistic view earlier in the year but the orders coming in are lower than our expectations. The smart devices and automotive orders did not come in as strong as I expected. “Therefore, a fair statement at the moment is that I see flat to slight growth but I will watch out for the fourth quarter when we foresee a busy quarter for us,” he said. Elsoft’s net profit for the year ended Dec 31, 2016 (FY16) grew 19.7% to RM31.2 million, from RM26 million in FY15, on higher revenue and improved gross product margin, but offset by higher administrative expenses and lower contribution from other income. Revenue rose 27.9% to RM63.6 million from RM49.7 million. For FY17, first-half net profit was 9.9% higher at RM13.1 million compared with RM11.9 million a year earlier. Contributing to the rise was a 5.3% increase in revenue to RM30.1 million, from RM28.6 million previously, and lower foreign exchange losses. “However, we are in a niche market; we design the equipment specifically made for our customers. We are a niche player. Our margin is higher, so we have to work harder in the second half,” he said. Elsoft’s order book stands just below RM30 million following the slight growth in orders at the end of the second quarter. Notwithstanding the low orders and muted growth, Tan feels that FY17 and FY18 could end on a positive note because of its next generation test and burn-in solution. It features a high-speed LED tile tester for the automotive and general lighting segments. “We just shipped the tester to our customers in July which was a little delayed because we had some hurdles to overcome in March. We expect more orders to come in after the customers run the machines,” he said. Elsoft is also developing a solution for depth sensing or 3D sensing, an infrared sensing and emitter for the smart devices and automotive segments. It also plans to add value to its automated test equipment (ATE) products by tying up with a mechanical design company. “We are good at electronics and software but lagging in mechanical design. The ATE segment features two areas, the tester and the machine. Even though we are doing both now, I feel our machine is not good enough. “If we can sell a product that is good in every part, then it’s excellent. We want to offer better solution for our customers. We want the ‘okay’ segment to be better,” Tan added. The group is eyeing two potential companies in Malaysia, one of which is ATE-related and the other automation-based, with similar revenue base as Elsoft but with lower profit and margin. “However, business comes first and we expect to be busy. So, we might not have much time for a merger or acquisition. We are only at the preliminary stage of this development,” he said. Turning to the group’s dividend policy, Tan said Elsoft hopes to maintain its FY16 payout ratio of 70% in FY17. Kenanga Research analyst Desmond Chong is positive on Elsoft because of its high-speed tile testers, and the new technology solution provider. He maintained a trading buy with a higher target price of RM3.05 against RM1.90 previously, but reduced the FY17 core net profit by 4% on the assumption of a slight delivery delay for its new ATE automotive equipment to the first quarter of 2018. “We introduce FY18 earnings of RM43.1 million, up 23% with the key assumption of higher sales for its high-value speed-enhanced testers and better product mixes,” Chong said in a note on Sept 5.